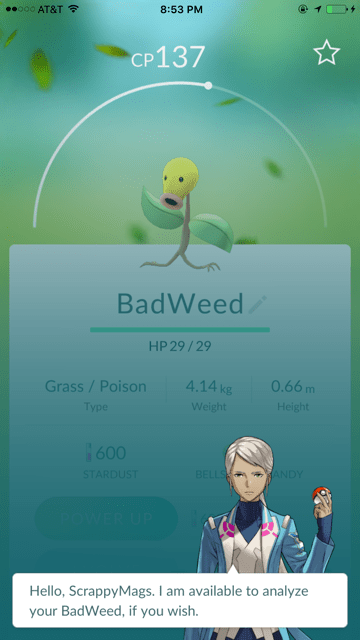 Recently there was some sort of upgrade on Pokemon Go. I will confess I only play this occasionally out of boredom. Mostly the fun is coming up with semi-dirty or funny names for captured Pokies. 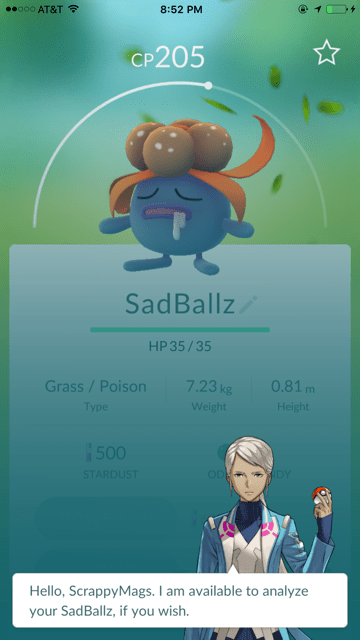 That backfired today as Pokemon Go added a function where an expert “appraises” your Pokemon, resulting in these, um…. well… just read. ASTOUNDING? Really? Well, gee, thanks. 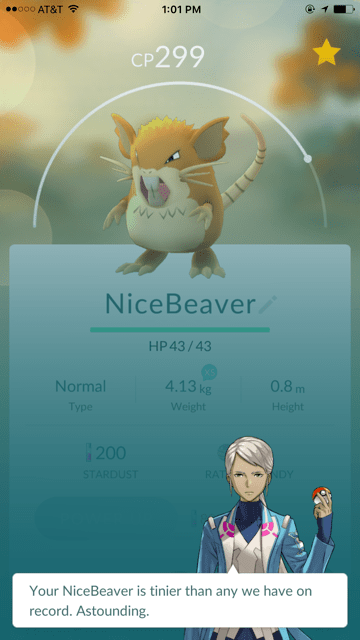 This entry was posted in random and tagged Appraisal, funny, Pokemon Go, upgrade.